Solar Juice is the solar solution for power hungry devices. 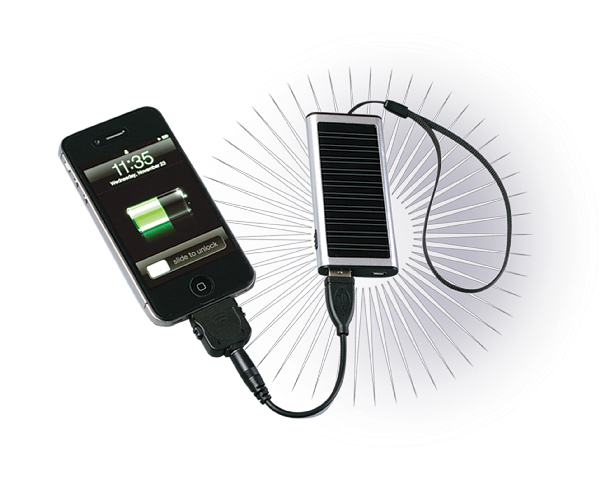 Hybrid Mobile Solar Charger converts both natural and artificial light into juice for USB devices. Great for Smart Phone's, Blackberry's, digital cameras, Nintendo DS's, and more Perfect for Power outages, traveling, camping, beaches and boating. Includes Universal USB, Mini USB, Micro USB and iPhone/iPad adapter.